The half-ton pickup truck market in the US is crowded with the all-new models and we saw three redesigned utes early in the year. The duo from General Motors is packed with the number of the powertrain options and the latest equipment and the Ram 1500 brought the new level of the sophistication combined with the mild-hybrid powertrains. 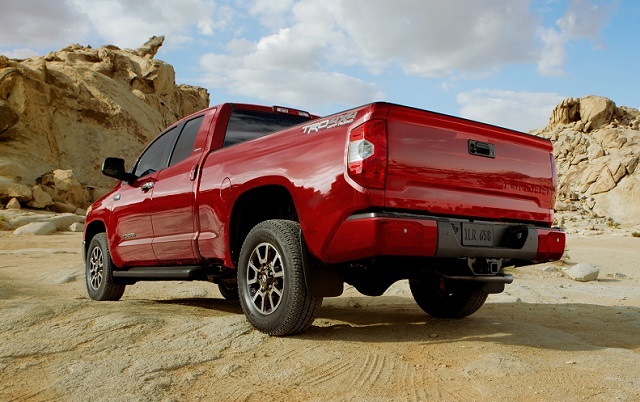 But, the half-ton Toyota Tundra still remains with the design which dates back to the previous decade and still comes with the two powerful but inefficient V-8 engines. That is, of course, reflected on the sales and while the mid-size Tacoma beats GM’s twins and other models, the larger Toyota truck can’t follow the trio of the best-selling full-size trucks. The current Toyota Tundra sill justifies brand’s fabled dependability and durability standards but lacks the level of the refinement and modern powertrain options other brands now offer. But things should change for the capable Toyota Tundra in the near future. The officials from the company admitted that the new Tundra is one of the priorities for the brand but hasn’t said when the new generation will appear and what to expect. As the things now stand, without of the prototype models spotted on the roads and no details form the company, the next-generation Tundra will likely wait for the 2021 model year launch. Toyota returned TRD Pro trim with the updated styling and suspension for the 2019 version while other variants received the slight styling update and standard suite of active safety systems for the 2018 version. So, the 2020 Toyota Tundra will likely be the repeat of the current generation and we hope the last one. We will again see the familiar form of the half-ton Tundra for the 2020 model year as the things now stand. The model will keep the “triple tech frame” design from the current version which includes three different cross-sections. This is now unique to the Tundra model while other truck brands use the fully boxed frame which the next-generation Tundra should switch to. As for the styling of the 2020 version, the model will likely continue in the same form. The prominent trapezoidal grille will appear in different executions depending on the trim and in the combination with the optional LED headlights. The truck will also get the hood scoop in some variants and the wheels range will start with the 18-inch steel design and finish with the 20-inch alloys. The new generation Tundra should switch to the new high-tensile steel chassis as per expectations and likely use mixed-materials strategy to reduce weight as other brands. A more stylized exterior is also expected with the cues from the recently redesigned SUVs and refreshed global Hilux pickup. Inside the cabin, the Toyota Tundra lacks also the refinement we find in the new models. The truck will, however, offer the luxury features such as the perforated leather, heated and ventilated seats, a 12-way power adjustable driver’s seat and easy to reach controls. The crew cabs will also provide plenty of room in the rear row and number of the storage compartments. The strong side of Toyota’s vehicles is the standard suite of the advanced safety systems and the Tundra won’t be the exception. Toyota will equip every version with adaptive cruise control, automatic headlights, lane departure warning, automatic emergency braking and pedestrian detection. As the things now stand, the 2020 Toyota Tundra will again appear with familiar V8 engines. It is not still clear what Toyota has in mind for the next generation version regarding the power options. The 5.7-liter i-Force V-8 engine should continue to the next generation according to some reports but with the improved design and fuel system. The diesel engine option is also possible for the new generation Tundra alongside the new 8- or 10-speed automatic transmission. The 6-speed automatic will, however, remain the sole transmission system for the 2020 model year. A 4.6-liter V-8 will be the standard engine with the power and torque ratings likely on the same levels as the current. The more powerful 5.7-liter V-8 will provide more towing capability with 381 hp and torque of 401 pound-feet. The model will also offer the suspension upgrades, automatic limited-slip differential and other upgrades for the off-road-focused buyers. 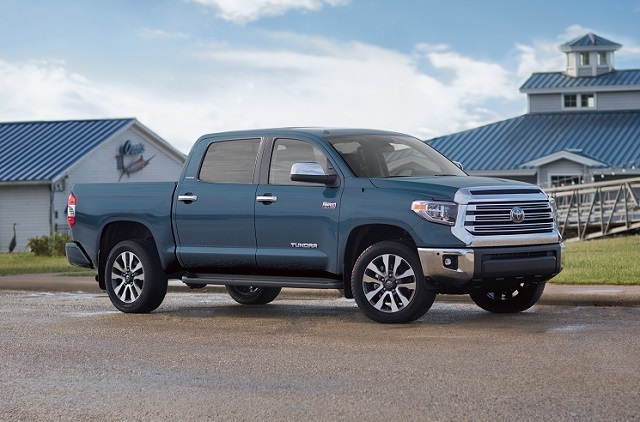 With the similar price range, the 2020 Toyota Tundra will go on sale in the last quarter of 2019. The next generation Tundra should appear in 2020 and go on sale as the 2021 model.